Education : Passed B.V.A in Painting the Indian College of Arts and Draftsmanship in 2007, Kolkata. 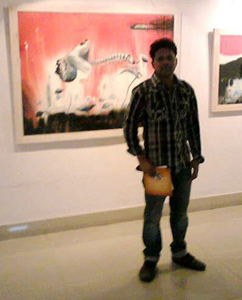 Exhibition : Participated in various Annual Exhibitions, One Man Shows and Group Exhibitions all over India. Collections : India and Abroad.